Here are a few foods along with their #health benefits and ways to keep them healthy. The Good: They’re nutrient-dense and packed with antioxidants, vitamins B6, C and E, as well as folate and potassium (60 percent more potassium per ounce than bananas), and they’re a great source of monounsaturated fat, which studies have shown reduces serum cholesterol levels when used in place of saturated fats. The Bad: The calories add up; a 7-ounce avocado has about 360 calories. 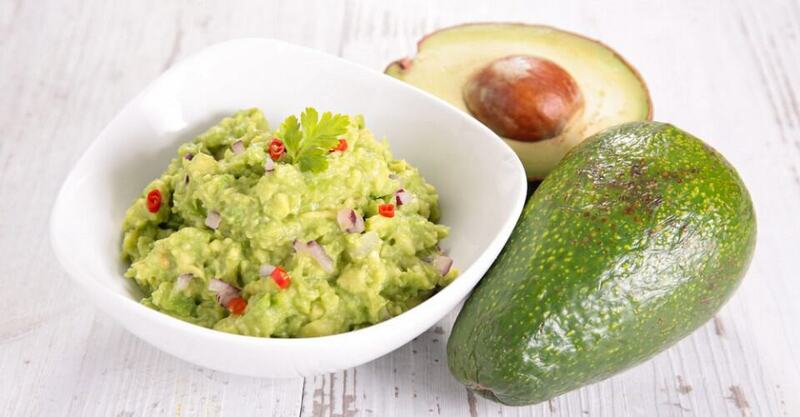 That’s about 50 calories per 1-ounce slice or 110 calories in just 3 ounces of guacamole. Plus, guacamole doesn’t keep very good company. Its best friends — cheese, chips and refried beans — can really pack on the pounds. Fit Tip: Keep avocados and guacamole in your #diet, but avoid the fried tortilla chips and other unhealthy foods that tag along. Serve it in small dishes for portion control, and have baked, low-fat chips. Also, you can use avocado slices to replace other high-calorie foods that contain saturated fat, such as whole-fat cheese, which has 100 calories per ounce/slice. The Good: You can eat them fresh or dried. High in antioxidants, figs are a top source of fiber as well as potassium, manganese and vitamin B6. They are fat-free, sodium-free and, like all plant foods, cholesterol-free. A 1/4-cup serving provides 244 milligrams of potassium (7 percent of the daily value), 53 milligrams of calcium (6 percent of the DV) and 1.2 milligrams of iron (6 percent of the DV). The Bad: Ever look at the calories for one Fig Newton? 55 calories. The average fig has 40 to 50 calories. And to make matters worse, fresh figs are rare because they last only about a week after harvesting. As a consequence, about 90 percent of the world’s fig harvest is dried. And when they’re dried they’re as easy to pop down as M&M’s. Fit Tip: Chop some figs to scatter over oatmeal or any cold cereal. Skip the sugar and enjoy the fig flavor and crunch. Sweeten up regular or sweet potatoes with chopped figs. The figs add a richness of their own, so you can skip the butter or margarine. The Good: Dried plums are packed with important vitamins and minerals, such as potassium, vitamin A, magnesium and iron, as well as fiber, all of which help you stay healthy, balanced and energized. Dried plums are also high in antioxidants, which help neutralize the damaging effects of oxidation that are believed to play a role in the aging process and the development of cancer, heart and lung disease and cataracts. The Bad: There are about 22 calories per dried plum. So if you want to get your daily dose, you need to use them as a replacement for other less healthy foods — like a bag of potato chips, for example. Another issue: If you eat too many prunes, well, they have a laxative effect. Fit Tip: Combine one or two with a variety of other, lower-calorie fruits. Or chop the prunes and use them as toppings on cereal and other foods. The Good: Yogurt has gained a reputation for being a healthy food for a variety of reasons. It improves digestion, prevents intestinal infection and reinforces your immune function. It’s packed with vitamins and minerals, such as calcium, potassium, riboflavin, magnesium and phosphate, and it’s low in fat. It also provides a milk alternative for those who are lactose intolerant, since it is virtually lactose-free. The Bad: The truth of these health claims notwithstanding, we can’t ignore the fact that yogurt still contains calories and added sugar. So eating too much of it may negate any potential benefits by increasing the health risk of being overweight. For instance, a 10-ounce container of Stonyfield Organic Lowfat Yogurt Smoothie has 250 calories, as well as added sugar. And then there’s frozen yogurt (even low- or no-fat), which is typically on a dieter’s shopping list but is really closer to ice cream than yogurt. For instance, Ben & Jerry’s Chocolate Fudge Brownie Low Fat Frozen Yogurt (1 cup): 380 calories or Häagen-Dazs Strawberry Nonfat Frozen Yogurt (1 cup) 280 calories. Also, keep an eye on yogurt-covered snacks: Some varieties are more like candies in disguise. One cup of yogurt-covered raisins contains 750 calories, and 1 cup of yogurt-covered pretzels has 391 calories. Fit Tip: Stick with the low-fat or no-fat yogurts, and try to find a brand with no added sugar. If you normally eat high-calorie foods like ice cream or cheese, it’s great to replace them with low- or no-fat yogurt.